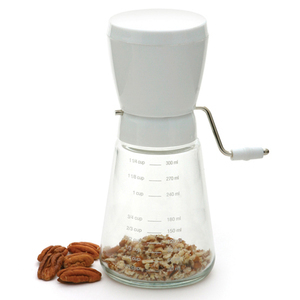 Capacity, 1 1/4 cups/10 ounces. The upper compartment holds the nuts. The chopped pieces are clearly measured in the lower glass compartment. Manual nut grinder handle works for both right and left handed users.